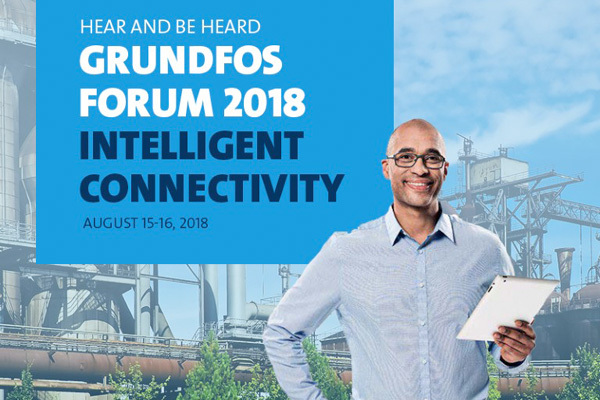 Water, environment and sustainability professionals from around the world will have the opportunity to learn more about the future of water solutions, as leading pump manufacturer Grundfos opens up its global customer forum to the world, virtually. A first for the event, the Grundfos Forum 2018 will be broadcasting from Suzhou, China, through a virtual conference, said a statement from the company. This will give professionals from all over the world the opportunity to hear from world-class engineers, government leaders, consultants, academics and other key decision-makers about ways to move and manage the world’s water better, under this year’s theme of ‘Intelligent Connectivity’, it said. The virtual conference will broadcast live on August 15 and 16, and OnDemand from August 17 to October 14, it added. In addition to the access to talks, events and breakout sessions, participants will also get to have their voice heard – they will get to take part in the forum’s Interactive Spaces, interact with forum participants, and chat with experts while exploring the exhibition area, said a statement. “This year, we are hosting the conference online so that we can reach more industry professionals who are not able to make it to the event in person,” Jensen said.